Sunday Night looks at Russian bride tour packages and Alex Cullen meets Freddie Highmore. It seems the unlikeliest of places to find romance. A strife-torn country at the very end of the earth. But the former Soviet state of Ukraine has another, more exotic, reputation – as the go-to destination for single, western men seeking Eastern European brides. The package tours boast they will meet women who are not only beautiful, but also dutiful. Good old-fashioned women, with old-fashioned values. So, for two unlucky-in-love Aussie blokes, it sounded like just the place to find their perfect match. And Sunday Night’s Matt Doran went along as chaperone. 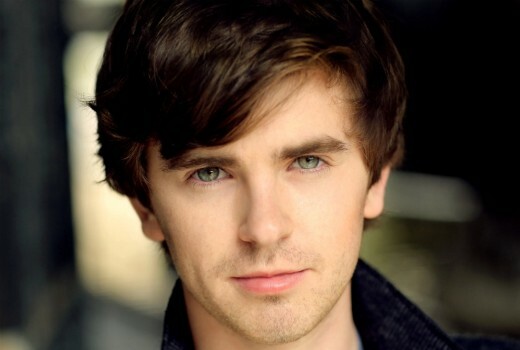 The first thing that strikes you about Freddie Highmore is his accent. It’s British, very much so. But nailing the American accent – and quirky personality – of autistic surgeon Shaun Murphy was a pushover for Freddie. Not only has he been acting since he was 10, he’s also an accomplished linguist. Always something of a nerd, Freddie took time out from acting to study Arabic and Spanish at the UK’s prestigious Cambridge University. As Alex Cullen reports, Freddie’s now back at work as The Good Doctor – a role that has special meaning for him. Sunday at 8.15pm on Seven. Freddie is such a talented actor. The way he plays the role of Shaun so well. Im looking forward to watching this interview. I used to think Freddie was a good actor until I saw The Good Doctor. He talks like he’s sucking in helium or impersonating a robot. He is potraying an Autistic person and having been around Autistic people I think it’s a realistic potrayal. I swear Michael Usher did that exact same story about Eastern European brides on 60 Minutes a few years back. ”…They want old fashioned women with old fashioned values. And they’re prepared to trek to the most remote reaches of Russia and the Ukraine to find them. It’s a well-worn path. Every year thousands of single Aussie men venture to Eastern Europe on special wife-hunting tours. Michael Usher jumped on board for the ride. Reporter: Michael Usher Producers: Danny Keens, Steve Burling”. To be accompanied by a half-hour “The Good Doctor” promo.